St. Andrew’s believes in “every member ministry” – a church in which every member is active and involved. Gods equips each one of us and calls us to share the ministry of the Church to congregation and community. Within this overall ministry, we operate a small, professional ministry team. In doing this we acknowledge that no one person can be expected to do everything and that, more importantly, God has given gifts to all of his people! Our Minister works full-time, our Administrator works 18 hours/week, and the other positions are part-time. 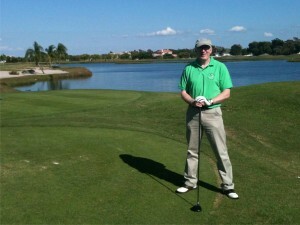 Martin, born in 1964 in Glasgow, began his ministry at St. Andrews in January 1992. Along with his wife Elaine, and sons Callum, Andrew and Fraser, he stands at the heart of the congregation as its spiritual leader, visionary and teacher. Summing up the role of minister, Callum, then aged 5, concluded; “Dad – you’re the one who brings the people their surprises!” Certainly, life is rarely dull when Martin is around. After completing a BA degree in Politics and Geography at Strathclyde University, he became a Youth Worker with the Church of England in Leeds. During that time, Martin sensed his own call to ministry and trained at the Faculty of Divinity, Glasgow University, 1986-89, then had a two-year appointment with the Church of Scotland congregation in Bermuda. Martin maintains that, “it was a tough job but someone had to go!” Upon his return to Scotland, he fulfilled a six month contract at St. Mary’s Church in Dundee city centre before being called as minister of St. Andrew’s. Martin was awarded a Doctorate of Ministry from Princeton University in 2004. He served as Moderator of Angus Presbytery in 2006 and served as Convenor of the Parish Development Fund of the Church of Scoltand. 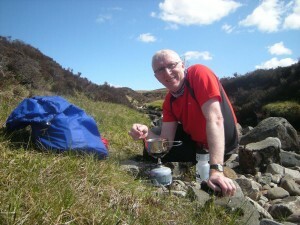 He is much sought after as a speaker and workshop leader within the Church of Scotland. Martin is married to Elaine. They were childhood sweethearts and married on 4th July 1987, Independence Day! They have three children; Callum born in 1996, Andrew, 1998 and Fraser, 2001. Martin lives a full and active life. When time permits, he loves nothing better that to ‘head for the hills’, whether to walk, climb or backpack. He plays some football and golf and has tried his hand at most other sports along the way! On the football front, he is a lifelong supporter of Glasgow Rangers and still manages to get to several games each season. Among his other hobbies are reading, cinema and travel. A significant member of the Ministry Team is the SESSION CLERK of St Andrew’s. [Please visit our church leadership page to find out about the Kirk Session and the way our church organises itself to fulfill God’s purposes for us.] Jane Miller holds this position, which has the responsibility of assisting Martin in the oversight of the congregation. 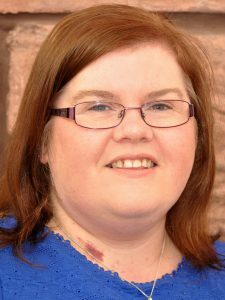 As well as carrying out the usual duties of a Clerk in taking the minutes of both Kirk Session and Leadership Group meetings, Jane has a particular interest and role in working to ensure effective communication among the various groups which make up the organisational structures of St Andrew’s. Jane spent her working life in Music Education by teaching in schools and, finally, as a Senior Lecturer in the Education Department of the University of Dundee. 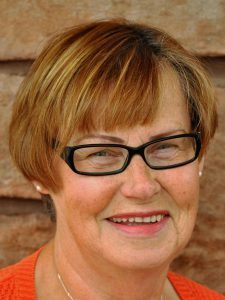 Her interest in music is now continued by being the conductor of Arbroath Choral Society and organist at St Andrew’s – having agreed, over thirty years ago, to take on the job for just one year! She and her husband Ken enjoy hill-walking and have climbed 271 of the Munros. Jane also keeps fit in the gym and enjoys spending time with her grandchildren. Joan Hainsworth is Deputy Session Clerk and in addition to being on hand to stand in when required for the Session Clerk, Joan has particular responsibility for arrangements for Communion Services. She also organises the Welcome Teams. Joan is a member of the Church choir and also continues her interest in pastoral work. Joan has travelled to Cambodia and Malawi as part of the outreach work of the Church and has also visited Israel. Joan has two daughters – Sarah who lives with her husband and son in Aberdeen and Anna who lives and works in Edinburgh. Since retiring in 2015 Joan helps in the care of her grandson. Outwith her church activities Joan is a volunteer driver with the NHS and with Voluntary Action Angus. 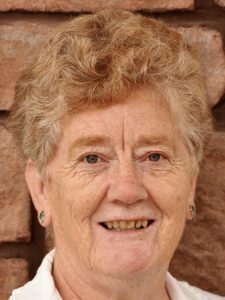 She is also a member of Arbroath Choral Society and enjoys music and visits to the theatre. Joan also enjoys walking and has joined a Nordic Walking group. Hi I’m Adele and I work with the young people of the church and wider community. I am married to Michael who I met through attending St. Andrew’s. I came to faith as a child at one of our holiday clubs and was baptised at age 10, so I feel it is apt for me to be working with other young people as they journey with God. I officially began my role in the summer of 2015 after completing a BA(Hons) Community Education at the University of Edinburgh. I have experience working with individuals from a variety of backgrounds including isolated, older people, young carers and those with additional needs. This stands me in good stead for my role within the church as I seek to support young people from all walks of life. My main responsibilities include running our Sunday evening youth group and delivering various youth programmes throughout the year. In addition, through partnership with other Arbroath churches, I help to run various school programmes at specific times each year, thereby connecting with a very large number of children. Supporting young people is an on-going ministry in our parish and so I am pleased to follow in the footsteps of other successful St. Andrew’s Church youth workers. Our Church Administrator is a vital lynchpin in the smooth operation of St Andrew’s, being the first port of call for people who contact the church by phone or email and running the church office during the week and on Sundays after morning worship. 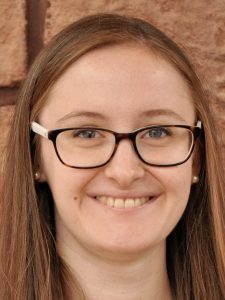 She supports the work of Martin and the rest of the Ministry Team and liaises with all the other church office-bearers in administrative matters. 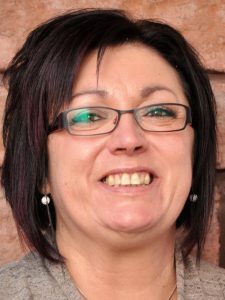 Linda was born and raised in Wick, Caithness, and has a lively, bubbly personality and will always greet you with a happy smile. Linda left Wick for military service in 1991 and a few years later she met and married Christopher. They lived and worked in numerous countries. Moving around every few years, Linda gained a great deal of experience in large corporations and she is well-used to dealing with routine administration as well as pressured last-minute decision making – an inevitable part of working in a busy, thriving congregation. Linda and their twin boys, Angus and Fraser, moved to Arbroath in 2005 whilst Christopher completed his remaining few years of service. Towards the end of 2011 Linda and the boys came along to a service at St Andrew’s in response to a “Invite someone to Church” flyer that the boys brought home from school and they have been here ever since! Linda loves to cook and bake in her spare time. Tracey is one of the original driving forces of a small group who had the desire to reach out to those on the margins of society through the development of a drop-in facility. Along with her husband Jim and a dedicated group of volunteers, the Havilah Project began. It now provides a much-needed facility for many of those who for whatever reason are finding life difficult. Through the Christian love shown by the volunteers, those who visit Havilah find unconditional acceptance and assistance to move forward in their lives. Further details of this work can be found on the Havilah section of our site. The work of Havilah has grown and increased in its outreach through the use of the dedicated premises called Community Spirit, situated in Fisheracre close to the church. Tracey and Jim have a son – Jamie. Tracey is an ardent dog lover and enjoys the walks that this involves.